The Texas-EU Business Summit will be located on the 1st floor of the San Jacinto Residence/Event Hall on the University of Texas at Austin Main Campus (see pictures below). 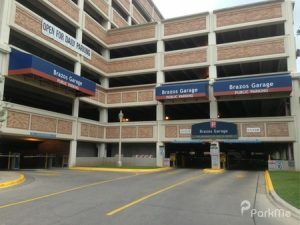 From the Brazos parking garage (See pictures below) exit the north side of the garage and walk to the street (Jester Circle). 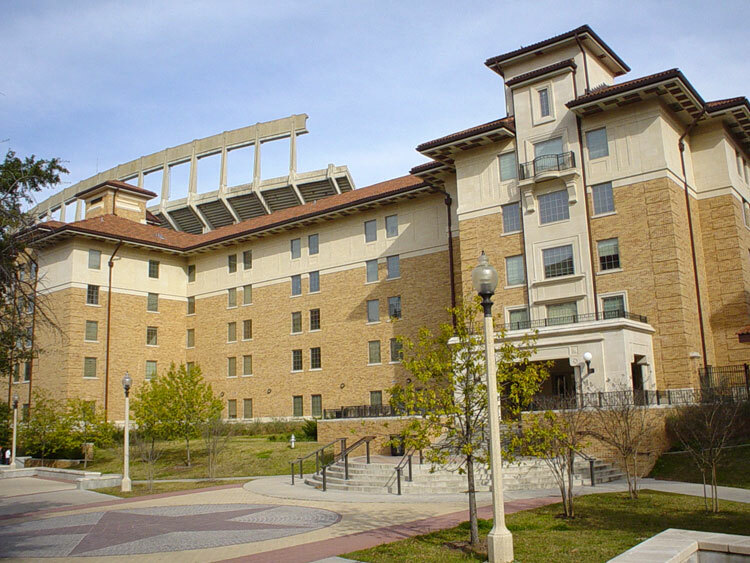 Follow Jester Circle (see campus map below) east and then north as it curves. Take a right at the fork. You will see the San Jacinto Residence/Event Hall ahead on the right. Enter through the main doors and take the hall on the right toward the South Tower. At the end of the hall, take the stairs one flight down. From the airport, exit Bergstrom International Airport and turn left on Hwy. 71, and continue on Hwy. 71/Bastrop Hwy. Take exit onto IH-35N/US-290E. Continue on IH-35N, take exit 235A toward MLK/19th St., continue to MLK and turn left. Continue down MLK to Brazos St., turn right on Brazos. Turn right at Jester Circle. 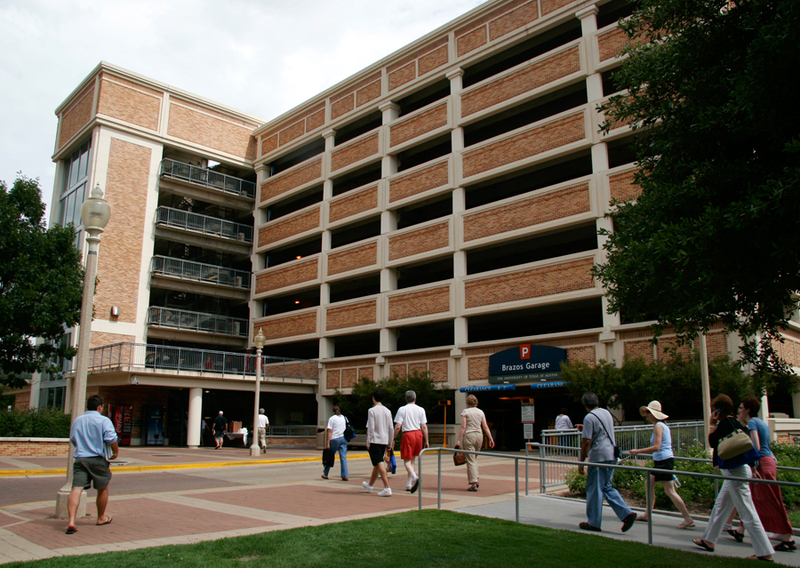 Parking in Brazos Garage will be immediately on your right and San Jacinto is located ahead on your right. From the north, exit 235A from Interstate 35 toward MLK/19th St., continue to MLK and turn right. Continue down MLK to Brazos St., turn right on Brazos. Turn right at Jester Circle. 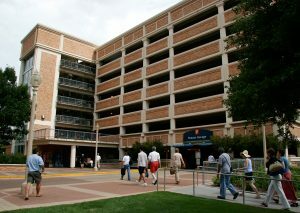 Parking in Brazos Garage will be immediately on your right and San Jacinto is located ahead on your right. From the south, exit 235A from IH-35 toward MLK/19th St., continue to MLK and turn left. Continue down MLK to Brazos St., turn right on Brazos. Turn right at Jester Circle. 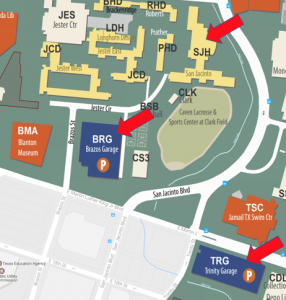 Parking in Brazos Garage will be immediately on your right and San Jacinto is located ahead on your right. From the east, follow US 290 into Austin to the IH-35 south exit. Follow IH-35 south and exit 235A toward MLK/19th St., continue to MLK and turn right. Continue down MLK to Brazos St., turn right on Brazos. 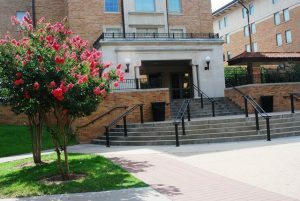 Turn right at Jester Circle. Parking in Brazos Garage will be immediately on your right and San Jacinto is located ahead on your right. From the west, follow State Hwy. 71 into Austin to the IH-35N exit. Follow IH-35 north and exit 235A toward MLK/19th St., continue to MLK and turn left. Continue down MLK to Brazos St., turn right on Brazos. Turn right at Jester Circle. Parking in Brazos Garage will be immediately on your right and San Jacinto is located ahead on your right.